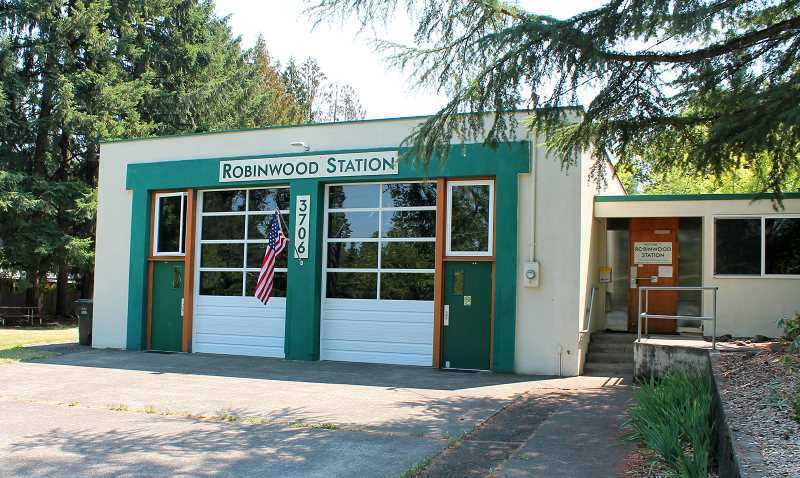 The Friends of Robinwood Station (FORS) earned a significant victory last year when the West Linn City Council voted to amend its code to allow the former fire station to continue to be used as a community center. But there was still more work to be done, and the City and FORS are now in the midst of negotiating a "use agreement" that will lay out who is responsible for specific aspects of managing and maintaining the building. The negotiation is part of a broader effort by the City to standardize the agreements it has with users of all city-owned, underutilized properties. "The City Council envisions that these facilities will be operated, maintained and programmed in a manner similar to the McLean House," Parks and Recreation Director Ken Worcester and City Manager Eileen Stein wrote in a July 25 memo. "Further, there is a desire to standardize the use agreements for these facilities as much as possible." FORS has managed Robinwood Station since 2010, and has completed significant renovations to the building through funding and work from volunteers (the City reimbursed them for some materials). The council was scheduled to discuss a use agreement with FORS during its work session Monday, Aug. 6, but opted to delay in the wake of questions raised by attorney David P. Williamson, who was hired by FORS. After evaluating the City's proposed use agreement — which was drafted by the assistant city attorney earlier this year — Williamson said in an Aug. 2 letter that "I cannot recommend FORS enter into this agreement at this time." "Ultimately, this agreement requires FORS to act as the owner of the real property in all respects but reserves ownership and the benefit of its value for the City," Williamson wrote. "By entering into this agreement, FORS may be required to expend significant sums to repair, maintain and improve the real property but could be subject to forfeiture each year." He added that the language of the agreement was unusual for a nonprofit like FORS and read very similar to that of a lease. "The attorney comments that came in on that were quite relevant and we want to avoid that," Mayor Russ Axelrod said at the work session. "We obviously started with not the right model ... my only concern is that we come up with something quickly." The process for Robinwood Station has been expedited in large part because the community center hopes to host the West Linn Community Preschool in the upcoming school year. The preschool, which was previously housed at New Life Church, has spent much of the year searching for a new home. The old Bolton fire station was also mentioned as an option before the preschool pivoted to Robinwood. In the end, the council said Stein should continue to work with FORS to finalize a use agreement. The council will then meet at the earliest date possible to evaluate and potentially approve the agreement.